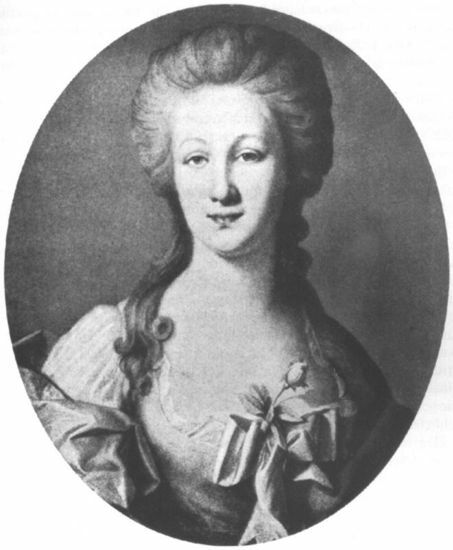 Anna Elisabeth Schönemann, the daughter of a rich Frankfurt banker, was 16 when Goethe met Her in 1774. She was 'pretty but a spoiled child and a flirt'. The Schönemann family (Lili, Her two brothers and widowed mother) belonged to the highest rank of the Frankfurt society and every evening kept open house for their friends. Goethe was present on one of their parties and became fascinated by Her, a beautiful fair-haired Girl with blue eyes, graceful in all Her movements, and with the ease and self-possesion that came of constant association with people of Her own class. Anna Elisabeth was accepting attention of the young poet, whose work had already made his name familiar to all educated Germans. Goethe called Her Lili and devoted several exceedingly poetical poems to Her. 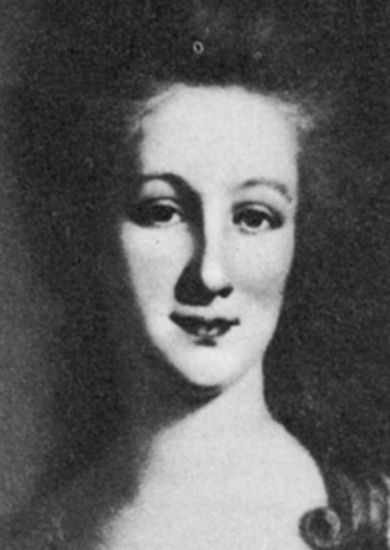 In April 1775 Geothe was officially engaged to Lili. She gave Goethe a little golden heart which was fastened round his neck with a ribbon. At Frau Schönemann's fashionable parties he slavishly observed the readiness with which Lili responded to the courtesies of other men. However, Lili's relatives thought Goethe was not socially her equal and the engagement lasted only into May. Three years later She was married to a Strassburg banker. The 'strange' love affair is best described in poem 'Lili's Park'. Goethe compares Lili's many lovers to a menagerie and himself to a bear who somehow does not fit into the circle of his Mistress at the Schönemann residence. But he remained devoted to the charms of the fascinating young Lady. At the age of 80 years he stated 'Lili was the first one I deeply and truly loved, and perhaps it was the last'.